I was recently shopping for a wreath for one of our bathroom doors. I kept checking the aisle and looking at the different wreaths. I couldn’t find one I particularly liked, though. At first, I was just going to leave the store empty-handed. 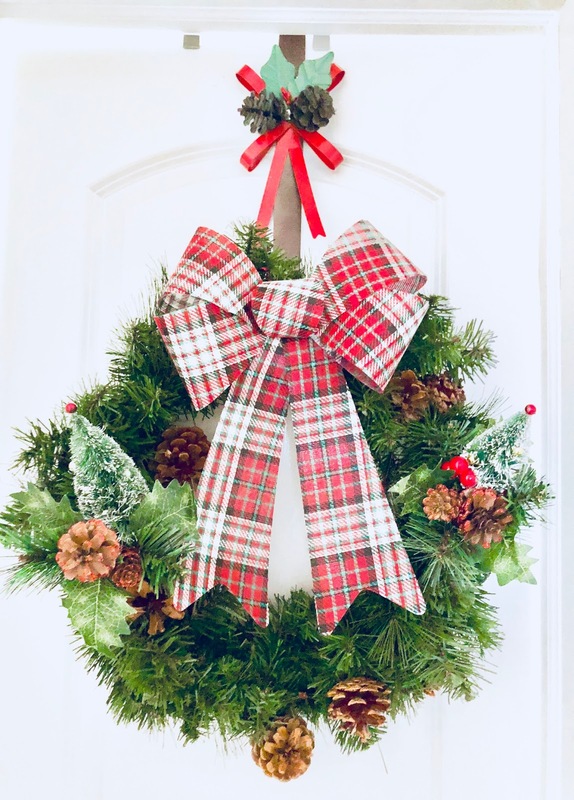 Then, I noticed a rather bare wreath and had an idea — I’d design my own! With these two (yes, just two!) easy steps, you can too! 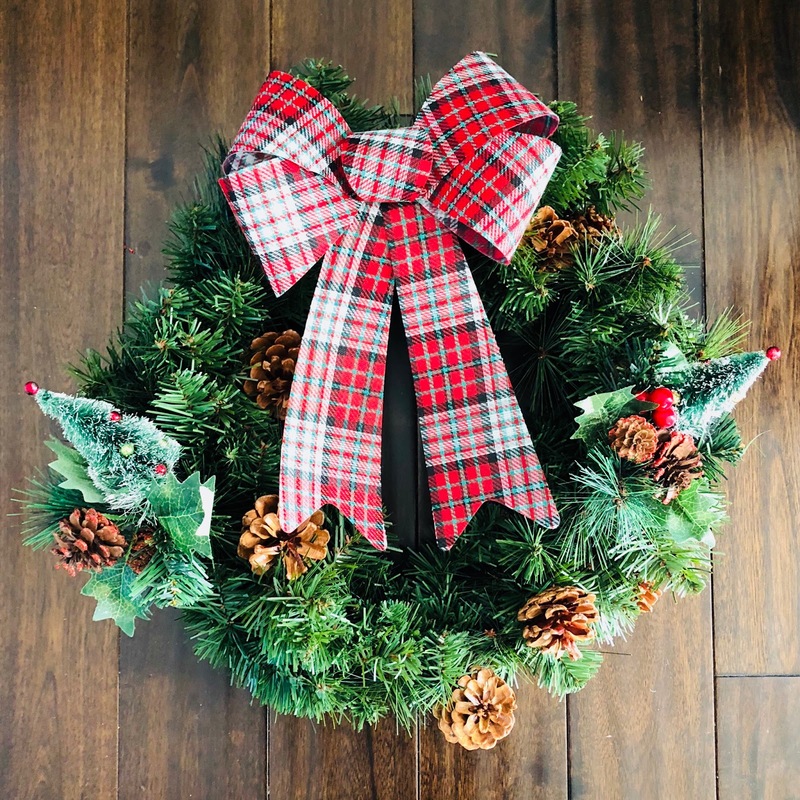 All you’ll need is a “naked” wreath, a bow and simple decor of your choice. 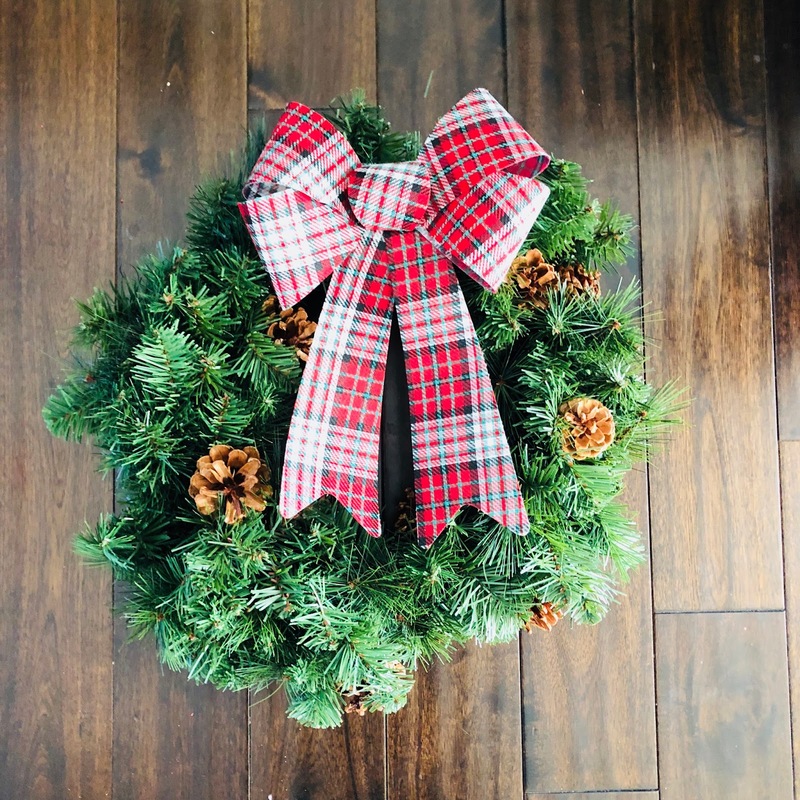 If the wreath doesn’t have pine cones (mine did), you might also want to get these to add in. 1. 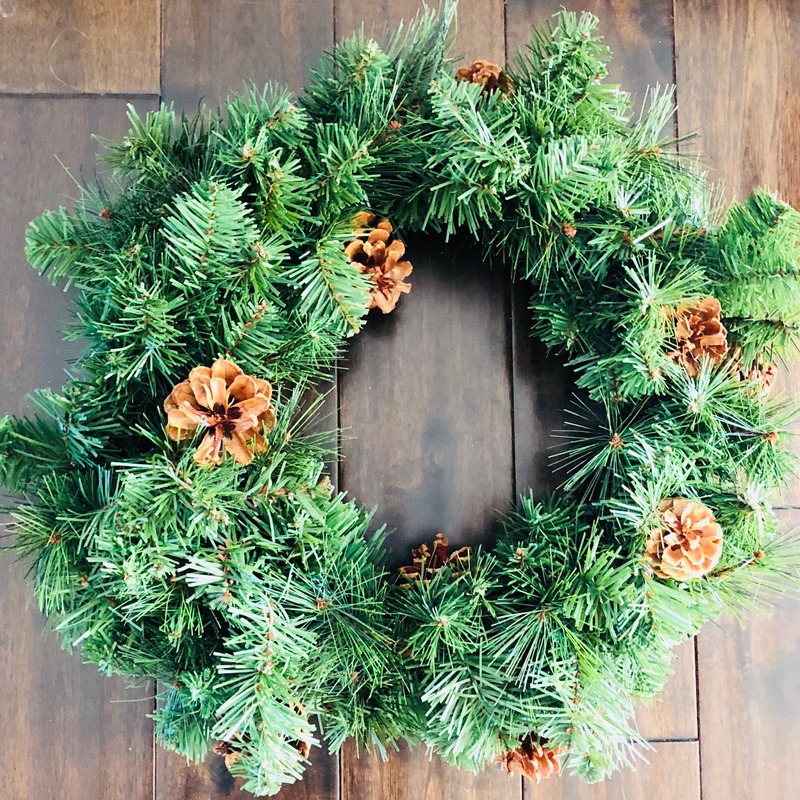 Simply lay your wreath on a flat surface. Add a bow. 2. Add decor. This can be pine cones, mini Christmas trees, mini bows, bells, etc. Hang it up and there you have it!